Here's what the FTC is examining now. A key issue for the Federal Trade Commission as it wraps up its investigation of Walgreens (WBA - Get Report) bid for Rite Aid (RAD - Get Report) is whether preferred pharmacy networks, like an exclusive arrangement Humana (HUM - Get Report) has with Walmart (WMT - Get Report) , are viable competitors to broad networks that include all the major pharmacy chains. That issue is central to a dispute between the FTC and Humana Inc. over a subpoena the commission issued to the health insurer. The FTC is seeking documents regarding a preferred pharmacy network Humana offers in some insurance plans that calls for Walmart Stores Inc. to be the sole preferred provider of prescription drugs. The arrangement with the Walmart is one of three preferred plans Humana offers for folks who rely on Medicare Part D for prescription drugs. Rite Aid shares rose 1.8%, or 6 cents, to $3.13 early Friday afternoon. The FTC issued a subpoena to Humana on April 10 seeking extensive details on what it has dubbed the "Walmart Rx Plan." Humana submitted some documents but the FTC said the insurer's compliance has been "token" and on Monday filed an emergency petition in federal district court seeking a judge's order for Humana to fully comply. Humana argues that the information the FTC has requested is either irrelevant to the Rite Aid merger review or is available from the Centers for Medicare & Medicaid Services, the regulator of Medicare. Will Walgreens win Rite Aid? The FTC said it needs the information because it is trying to discern whether narrow or preferred pharmacy networks like the Walmart RX plan would be viable if they exclude the combined Walgreens-Rite Aid. "Walgreens proposed acquisition of Rite Aid could tip the balance in these reimbursement rate negotiations in its favor, allowing it to command higher reimbursement rates," the FTC said in its petition. "Depending on the geographic area where a plan's customers reside, Walgreens could become so significant that it would become a 'must have' to meet geographic access requirements or to provide the coverage an insurance plan's customers desire. Although the FTC's petition indicates that the agency continues to have reservations about competitors' ability to replace competition from the loss of Rite Aid as an independent player, Andrea Murino, co-chair of of Goodwin Procter LLP's antitrust and competition law practice, warned against assuming the FTC has come to a conclusion on whether to challenge the deal or not. Nevertheless, the subpoena fight is bad news for Walgreens and Rite Aid, she said, because it shows the merging parties have not convinced the commission that their plan to address antitrust concerns is sufficient. In its petition the FTC said it needed Humana's compliance with the subpoena by June 26. 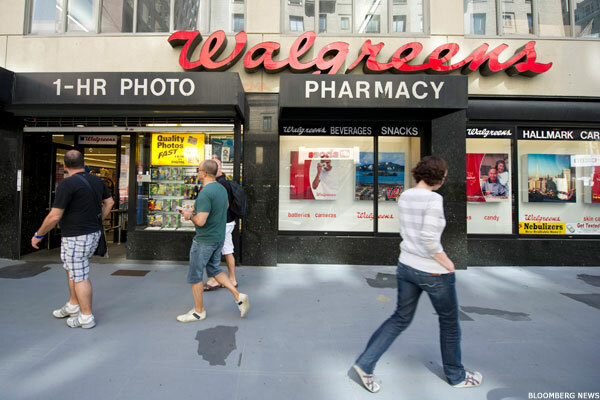 A timing agreement between the agency and Walgreens gives the commission until July 7 to seek to challenge the merger in court. Without an FTC decision by then Walgreens is free to consummate the deal. Walgreens Boots Alliance is a holding in Jim Cramer's Action Alerts PLUS Charitable Trust Portfolio. Want to be alerted before Cramer buys or sells WBA? Learn more now.